At the Fertility centre Bonner Bogen our friendly and dedicated practice team is waiting to welcome you. In accordance with the specifications of the Ärztekammer Nordrhein (North Rhine Medical Association), a working group was established within the scope of the founding of our fertility centre. Have you thus far been unable to fulfil your desire for children? We can provide you with personalised help, using the latest cutting edge technological, scientific and practical expertise. As both doctors and mothers, we long with all our heart that your wish will soon become reality. As experienced specialist physicians, we can support you along this journey. 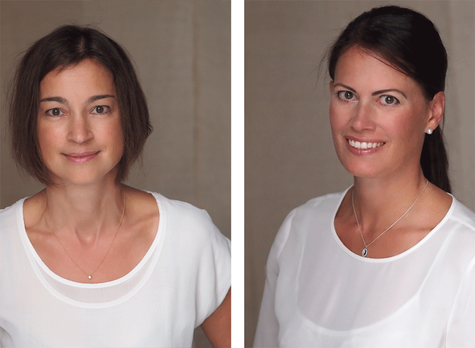 Dr. Ulrike Bohlen and Dr. Eva-Maria Boogen welcome you to the private Kinderwunschzentrum Bonner Bogen Fertility centre. The two clinic proprietors are both experienced specialists in gynaecology and obstetrics, reproductive medicine and gynaecological endocrinology. They have been working and conducting research in the field of reproductive medicine for several years. Within the scope of their long-term collaboration at the University Hospital Bonn, they have already been able to help many couples with a desire to have children conceive their “little miracle”. An experienced team await, with the highest level of medical competence, cutting edge technology and comprehensive practical experience. Continual specialist further training guarantees treatment at the most up-to-date scientific and technical level. Every couple is different and each treatment unique. Having taken a comprehensive medical history, we draw up a treatment plan that is optimally tailored to your situation. The Fertility centre Bonner Bogen offers the full range of diagnostics and therapy, from a single source. This means we can guarantee that your treatment will get underway promptly. Flexible appointment times, long opening hours and short waiting times all contribute to making your treatment as simple as possible. We also have an extensive network of experts and professionals in our immediate vicinity, who can be called on in your behalf at any time. An unfulfilled desire for children brings with it a host of questions and concerns. Trust and safety are particularly important during this time. We take time to get to know you and your own unique situation. At the Fertility centre Bonner Bogen you will be assigned a dedicated contact person, who will get to know you personally and will be available to discuss your concerns at any time. The practice owners are always there for you, providing information, support and advice. Our embryologist, Dr. Maria Köster, will also be available to talk to you in person at all times. The small and highly motivated practice team provides friendly and considerate care. In the pleasant and discreet environment, you will be able to focus on your greatest wish – relaxed and full of joyful anticipation. Get a first impression of the Fertility centre Bonner Bogen. You can contact our practice team directly here.